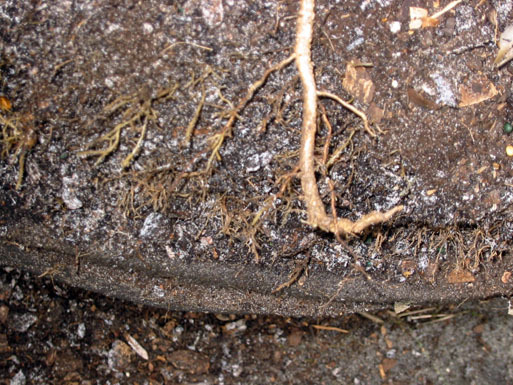 When roots hit the sidewall of the Jackpot, air-root pruning causes them to branch and become feeder roots, maximizing the plant's ability to uptake water and nutrition, resulting in superior growth! 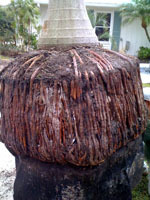 Large root that has branched after being air root pruned. 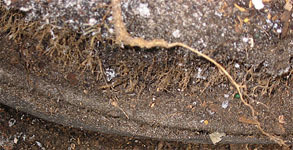 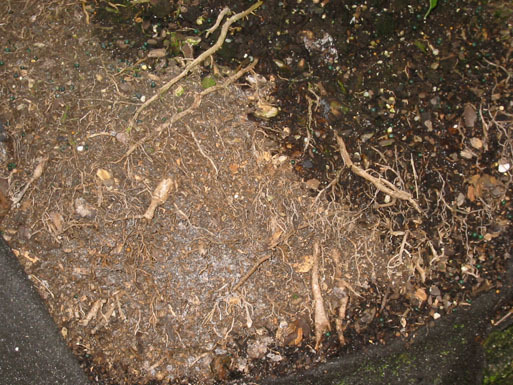 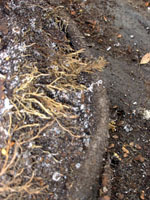 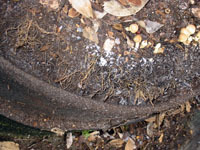 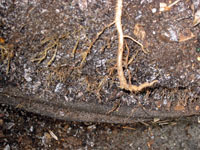 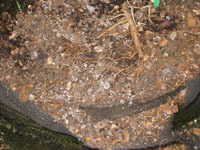 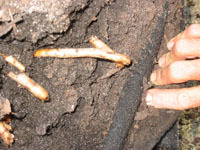 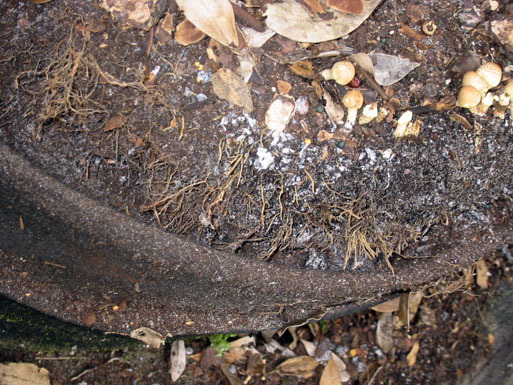 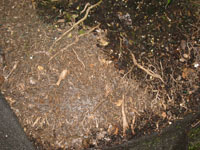 This close-up shows the root manipulation that occurs with air root pruning on a large root that in a rigid container would have spiraled, getting even larger while not producing any of the very important fine feeder roots needed for vigorous plant growth.